There are several good Digital Audio Workstations (DAWs) available for Linux. However, only a few of them are free to download. 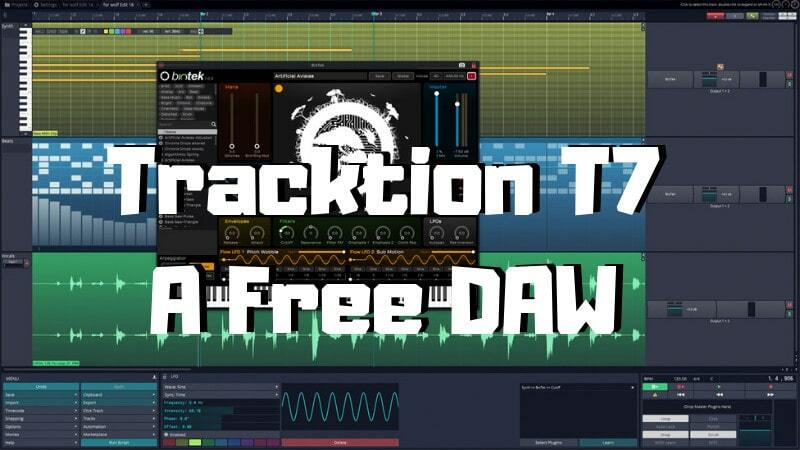 Now, Tracktion’s T7 DAW became a freeware (although, not an open source software) and it is available for free to download across multiple platforms (Linux, Windows, and Mac). FYI, Tracktion T7 is not open source software. If you’ve kept tabs on what Tracktion’s up to, you must be knowing that its previous version (T6) was available for free while the T7 with all the features that a full-fledged DAW offers was in development. And, they decided to make it available for free. 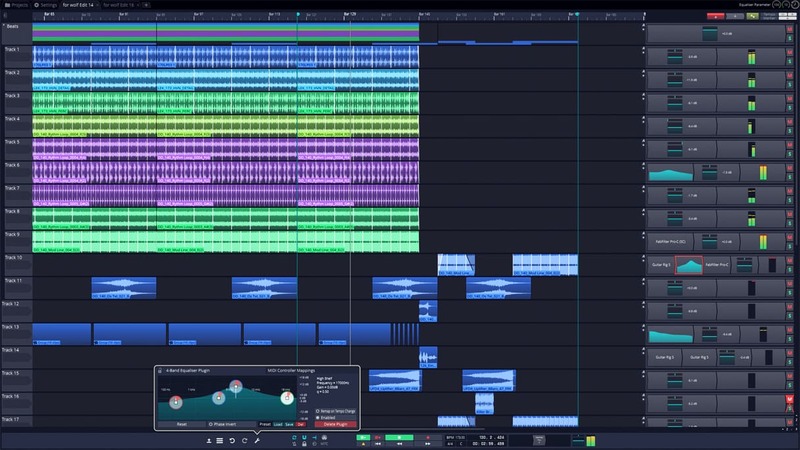 With the inclusion of T7 DAW as one of the free DAWs available for Linux, some of the most popular DAWs like Reaper or Bitwig might offer a free version for Linux – to compete with. But, that’s just something to expect – without any facts stated. While there’s a lot of features to talk about in a DAW, but let us take a quick look on what the T7 DAW has to offer. If you think that the features offered is absolutely crazy, you should check out the system requirements before downloading it. As per their official site, it has been tested with Ubuntu 16.04 and recommends you a core i5 processor coupled with a minimum of 4 GB RAM. No matter what project you are working on, the T7 DAW will definitely prove to be a useful Digital Audio Workstation without requiring you to spend any money. Of course, there would be some features (like Melodyne Essential) that will be unavailable when compared to Tracktion’s Waveform 9 – which is a paid DAW. Unless you’re an advanced music creator (or sound designer), you can do almost anything with Tracktion’s free T7 DAW. You can get T7 DAW from the link below by registering an account with them. What do you think about Tracktion’s T7 DAW? Is it good enough for you? Do you think that the paid ones might end up offering a free version for Linux as well? I’ve been lurking for a while, so now I have a question. :-) I’ve downloaded, installed and toyed with T7, and I really like it. I’ve downloaded some VST plugins, and I can’t figure out where they’re supposed to go. Mr. Google and Ms. DuckDuckGo haven’t been very kind in giving up this answer. Any insight? I’ve tried to install in the T7 suggested directories, but T7 isn’t finding them. FOSS is great and should be encourages. But if Linux is to become mainstream it must support commercial software, not in a commercially exclusive way, but as a choice. Steam, with paid games, has done more for Linux than just about anything else, overcoming the objections of many people who wouldn’t make the switch because……games. Commercial business software should also be recruited. Who has more money to spend on software, someone who bought the operating system and soon will pay monthly or someone with FOSS Linux? Commercial software is not Satan. I believe the red warning should say, “It’s not FOSS”.